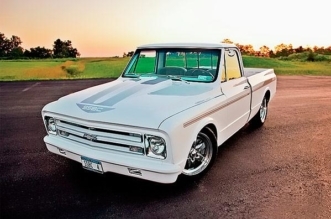 Engine swaps have been going on forever, and while the old days of swapping a small-block Chevy into anything and everything are getting far and few between, the latest modern engines have found their way between the frame rails of many classic cars and trucks. The LS swap has gotten to be one of the more popular swaps, but there are still some taking place that are just different enough to be cool. 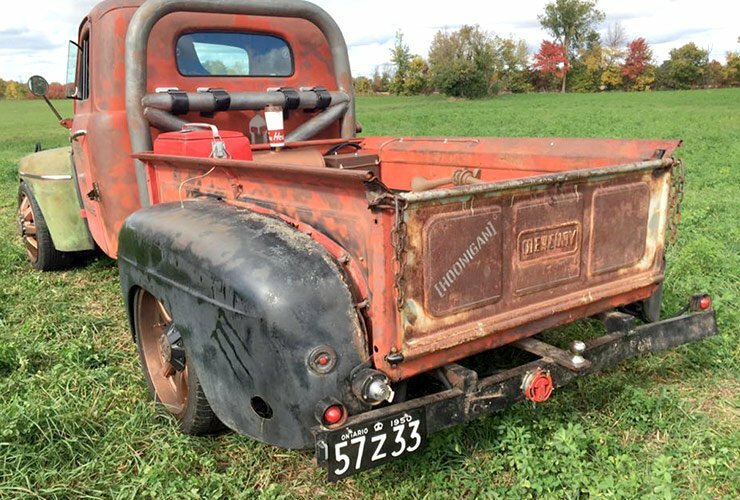 This 1950 Mercury M47 1/2 ton truck might have spent the past 35 years in a Canadian barn but thanks to Sean Getty in Ottawa, Ontario it will get a new lease on life. 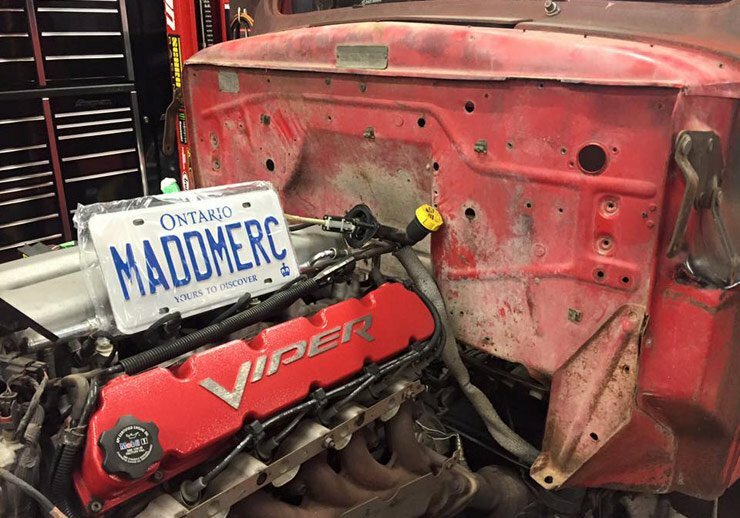 The project called MADDMERC started a little more than a year ago with the goal of debuting it at SEMA 2016. He chose the truck to represent his home country of Canada since this truck was primarily made and sold for the Canadian market. Since Sean is the owner of Getty Automotive Services and Red Devil Racing the truck couldn’t have some plain power plant. 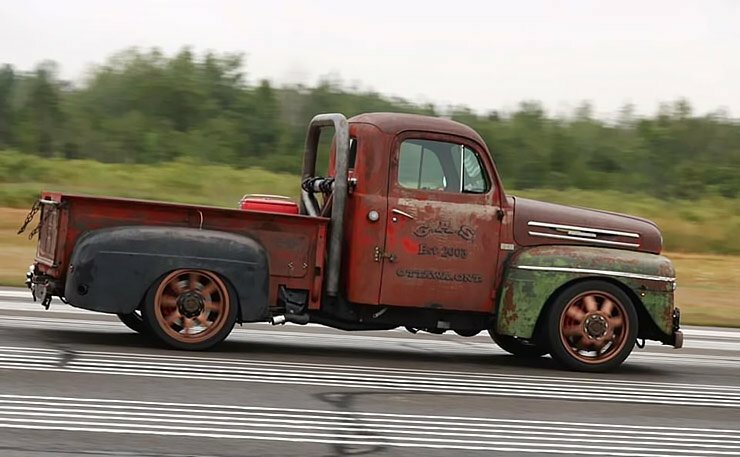 Originally he was going stuff a blown Mercury/Ford flathead V8 in the truck but he changed his mind and went with a Dodge V10. The fact that he owns a numbered edition 2010 Viper ACR might have had something to do with the decision. Sean sourced a Gen 3 8.3 L (505 ci) V10 from a 2004 Dodge Ram SRT-10. The engine’s factory 500 hp (373 kW) and 525 lb-ft (712 N·m) of torque is more than enough to move the truck and scare the driver. Backing up the V10 is a Viper sourced T-56 six-speed manual transmission running to a Dana 60 rear end with 4.10 gears. 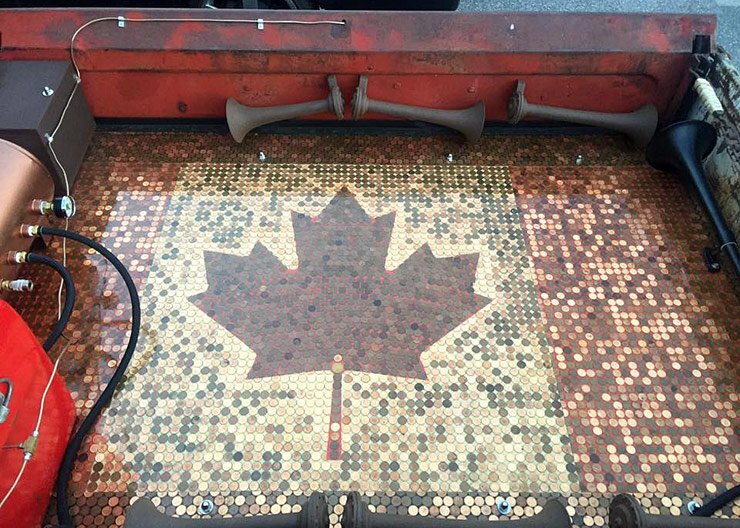 To put another unique spin on his truck, Sean decided to cover the inlaid wood bed and laid out thousands of Canadian coins in the bed. He then used some tinting to map out the shape of a Canadian flag and then epoxy. The truck might have spent nearly four decades unappreciated but now it can live out its years making smiles and turning heads. All in all, it doesn’t really matter that he’s put a Dodge engine in a Mercury, because the smile you get when you romp on the skinny pedal makes it all worth it. 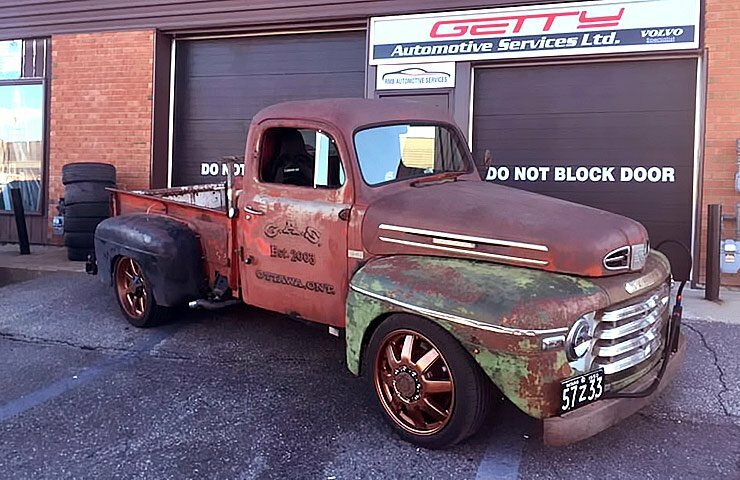 This truck is pretty cool, the V10 power and Tremec trans make this one helluva driver – no Mercury blues going on here! 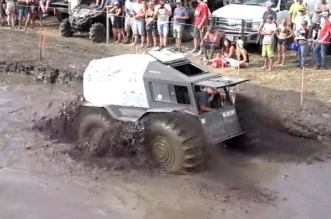 This truck doing what no 50 Merc has done before! !